Michael Nardone’s poetry unsettles territories as it roves through the continent, documenting the neon signs and the billboards, the dinner table conversations, and the overheard terrors of everyday Americans. The book orchestrates unlikely and compelling movements between abstract, parodic narrative and lyric elegy, which Nardone writes as modulated, cerebral laments for an era’s failure to reach utopia. […] My hope has always been for poets to subscribe not to movements or schools of aesthetics, but to be the bearers of urgent form—form as a thing to be broken and held close, at once. There is something fascinating in how Nardone’s work concurrently works through highly formal poetry structures and a post-language lyric, experimenting with structures and cadences familiar to the work of, say, Stephen Brockwell, just as much as KSW writers such as Colin Smith or Jeff Derksen. One can see it in “O, OR, PLAINS, PENNSYLVANIA,” the twelve-poem sonnet sequence near the beginning of the collection, or further on, as Nardone writes: “Am kiddin / Come on / Get over here / Everyone waitin for ya / Me and Dan / And there’s a band / Playin Stairway to Heffin / Knew that’d getcha / Seeya on the patio / Bye babe / Wooh” (“TOPOLOGIES/OTOGRAPHIES”). What does our overheard conversation say about us? And what do the snippits transcribed say about Nardone? There is an urgency to these poems, one that attempts both an order and the acknowledgment of a lack of that same order, shifting back and forth throughout. 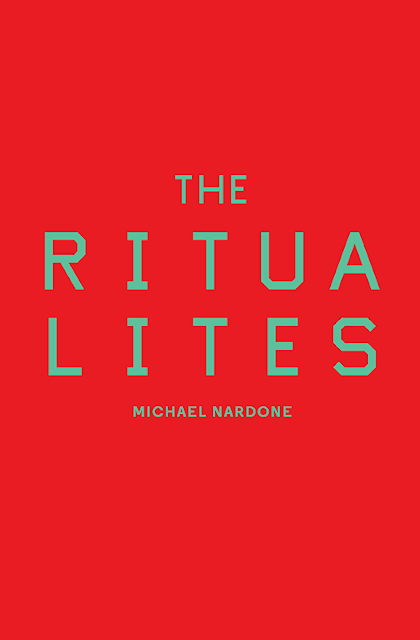 Occasionally, Nardone infers that his is a project of listening without any sort of editorial agency, and other times, entirely inserting himself, shifting and projecting, and offering what and how he wishes you to engage with what he has gathered. As you read this, notice what information you receive, and by notice I mean: simply observe. Try to project your consciousness into the corner of this room and see yourself, there, in your mind’s eye, reading this book.